Game in the UK is offering you the chance to pre-order Kinect for the princely sum of £20. Microsoft's motion-gaming device has only just been announced but Game is already offering a guarantee that you will get Kinect on release day – whatever day that will be. The price for the pre-order is a mere £10 (NB - it was listed as £20 yesterday). But don't get your hopes up that this will be the actual price of Kinect – this is just the cost to pre-order it, which will be taken off the price once it has been announced. Not to be outdone, Amazon has also seemingly outed the price of Star Wars Kinect for the Xbox 360. It has on its site that it will be £49.99 RRP, but you can get it for £36.59 if you pre-order now. 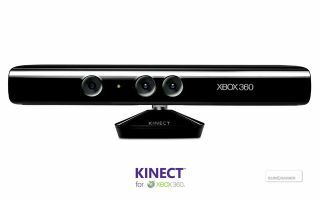 Microsoft unveiled Kinect (formally Natal) at a E3 pre-briefing this week. Around 12 titles are set to be released for the peripheral which has a UK release date of November. Although we are hoping these 10 titles also make the cut. Microsoft is hoping the motion controller will compete against Sony's upcoming Move device and the Wii which has been nothing short of a success for Nintendo.